Swimming like a real mermaid .. Which girl does not dream of it? This dream becomes reality with a mermaid tail from NoordZeemeermin. 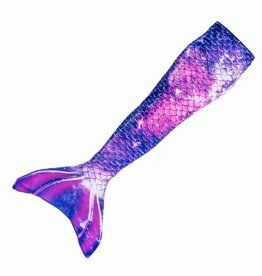 The complete set includes a mermaid tail, monofin and safety covers. Note that you choose this option if you do not have a monofin yet. 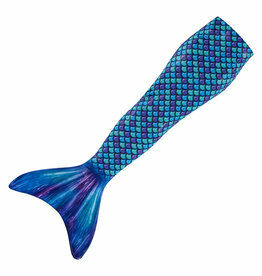 We have several mermaid tails in our range. 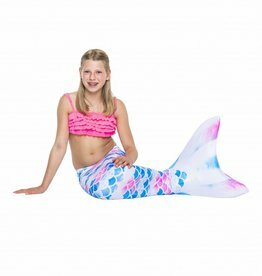 With the complete set you are ready to swim like a real mermaid in the water! The tails are available in 5 sizes and suitable for children between 7 and 14 years depending on the construction. And now also for the adult mermaids. 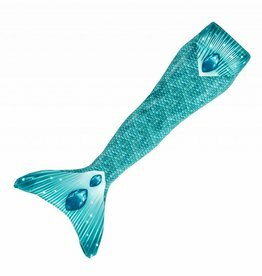 Watch out for a mermaid tail in size 8, 10 or 12, a small fin suitable from shoe size 30 to 37. 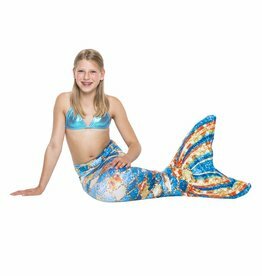 With the mermaid tail XS and S hear a large fin. This is suitable from shoe size 37 to 42. To make the mermaid experience complete, a diving mask is indispensable, look at our accessories for a suitable color. Take a look at our movie at a mermaid party . You can also book a party or lesson at one of the swimming pools. 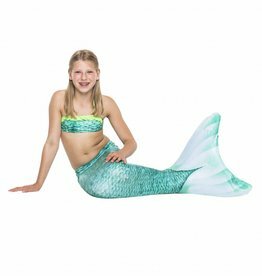 When registering at one of the affiliated swimming pools you will receive a discount of 10% on one of the mermaid tails of NoordZeemeermin.